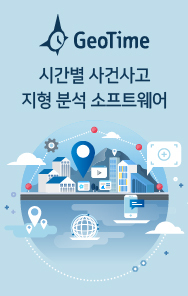 GeoTime CRT는 모든 통신사의 통화 세부 정보 기록을 자동으로 정리할 수 있는 솔루션입니다. 통신사의 원본 데이터를 쉽게 볼 수 있는 콘텐츠로 변환하여 이해하기 쉽게 표현합니다. 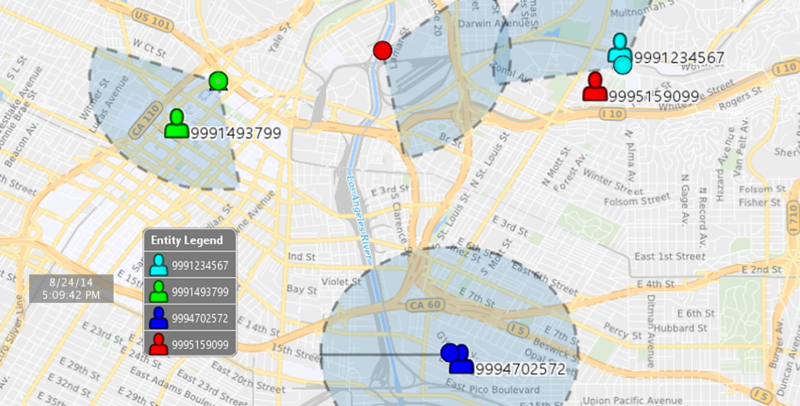 Quick insights to top areas of activity with a heat map. Glimpse into each phone for quick summary charts and activity heat maps. 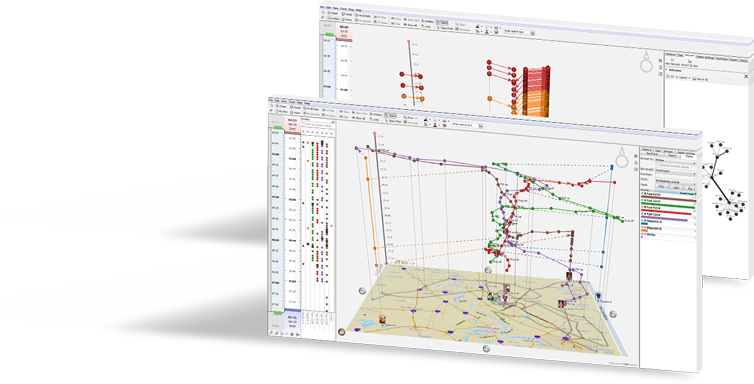 Automated analysis of your data – Ready for reports! 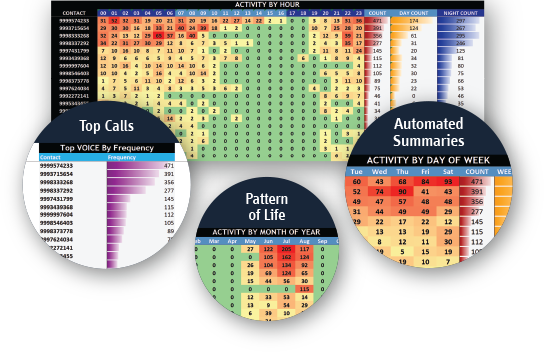 See patterns of call behavior develop over time. Automatically standardizes data across all major carriers.